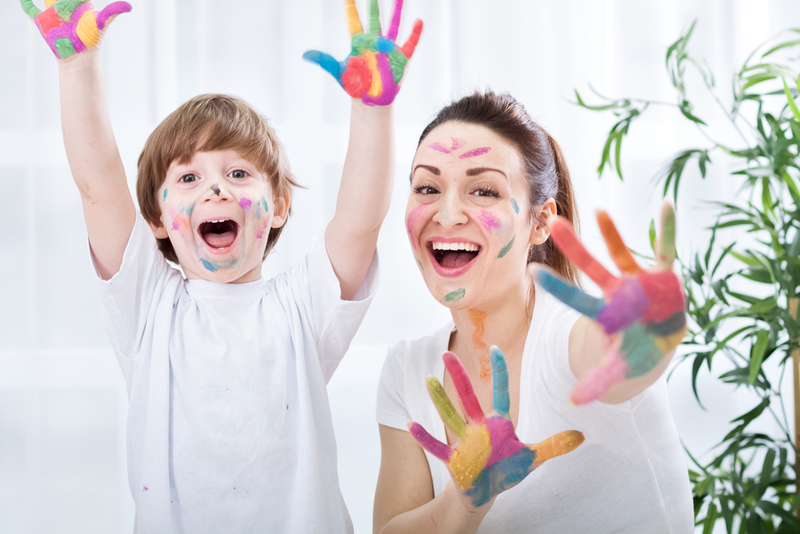 4 Indoor Sensory Activities for the Soul - Energetic Juniors - Contact Us! When it is so cold and snowy outside, do you ever find yourself not wanting to leave your home? Does it feel like you have been cooped up for days? Are you and your family starting to get cabin fever? Are your kids starting to get their hands on things that they shouldn’t? Try some indoor sensory activities. During the winter it can be hard to get children out of the house and keep them busy indoors. If it is too cold to go outside and your kids need to let their energy out, check out these awesome indoor activities that will have them occupied, sensory-satisfied, and engaged! Indoor bowling is a tactile-fun way for your children to get out their energy in a safe way. This is a great game for children who may get easily distracted as it requires constant attention throughout the game. If played with others, children can work on social skills such as taking turns, following directions, and role designation (score keeper, setter-upper, etc.). Being able to feel the ball, hear the ball hit the pins, and being in charge of setting the pins up will help your child notice different senses and improve their hand-eye-coordination. If you live in an apartment and do not have space in your home, you can take your game into the hallway of your building which can be the perfect bowling alley set up. Materials: Choose from either 10 empty water bottles or soda bottles, or paper towel or toilet paper rolls for the pins, and a small to medium sized squishy foam ball. Stress balls help children when they are feeling overwhelmed, upset, frustrated, or even just distracted. Making stress balls with your child will not only promote conversation about when this tool can come in handy, but will also help your child feel empowered to create a tool that they can squeeze when they experience a variety of different feelings. Stress balls are helpful for children to squeeze in order to symbolically release some of the tension they are holding onto. This is a safe, quiet, and energy focused coping tool that they can use anywhere. They can also decorate their new stress ball with stickers to personalize it! Materials: All purpose flour and balloons. It may be helpful to have a funnel or create a funnel with printer paper to help the flour get into the balloon smoothly. After the balloon is filled with flour, tie the balloon so the flour does not fall out. Using shaving cream for play can help children focus their energy into a fun and creative art project. This activity can also encourage spelling words, writing numbers, and learning symbols all with the use of their fingers. When children use their fingers in the shaving cream, they are manipulating and molding the material, building up their fine motor skills and increasing their coordination. The great thing about shaving cream is though it may make a mess, it is easy to clean up! You can have a shaving cream party in the bathroom, on a non-porous surface (kitchen table if not wood), or on a baking sheet covered with plastic wrap or silver foil. Good! Much better! Taking the time to make a blanket can be exciting, challenging, and empowering. The attention needed to make a blanket can help calm a child and act as a coping tool. This is useful for those that have difficulty releasing emotions, regulating discomfort, and those that need support with repetitive movements. If you have an opportunity, pick up some fabric for your child to use. Have your child cut fringes on either all four of the sides or only two of the sides. Tie a knot on each cut piece so the fabric does not loosen. The blankets can then be used as a sensory tool, to wrap themselves in to help self-regulate, which can calm a child’s body. This can also stimulate the feeling as if they are receiving a hug. Having this sensation can help them feel grounded and reconnect with what is going on around them. Mia Rosenberg, LMSW is a licensed master social worker working in group psychotherapy practice Liz Morrison Therapy. She works with children, adolescents and their families as well as emerging adults. For more information, please visit www.LizMorrisonTherapy.com.